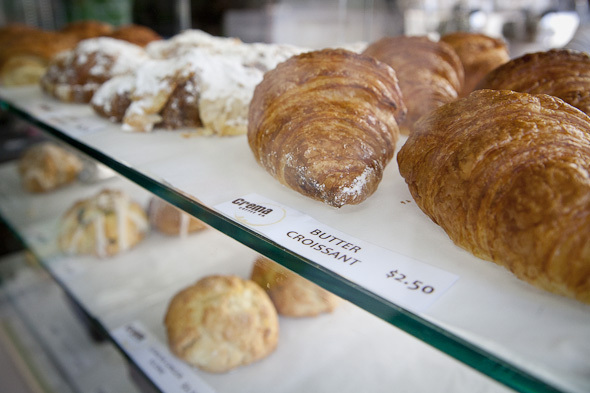 Crema at Spadina and Richmond is a familiar incarnation of its older sister to the west. 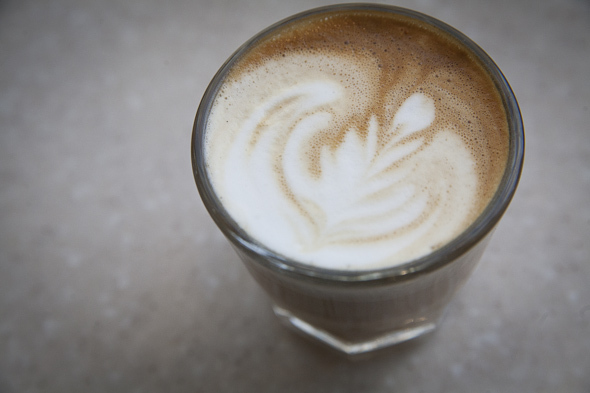 Not too far west — think Crema at Yonge and Bloor . Again sharing space with Freshii , this newest and fourth Crema location is strategically placed where the Fashion and Entertainment districts meet. There's plenty of competition in the area, including the Starbucks directly across the street and Le Gourmand just a few paces north, but after just its second day, this newest Crema is already reporting lots of action. "I think people were waiting for us to open," the barista says as she prepares me my usual Americano ($3.10). "They knew they were moving into this spot." 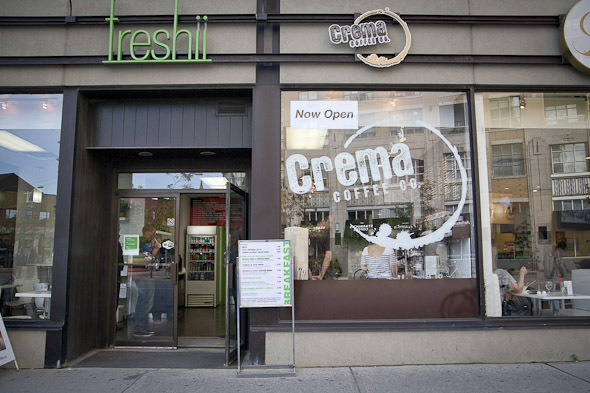 Indeed, the last time I spoke with Crema owner Geoff Polci was at the opening of his Danforth shop, and he hinted that Crema Spadina was in the works. That was fourth months ago and the venture is indeed very much complete, though Geoff wasn't in when I stopped by to fill me in on the details. 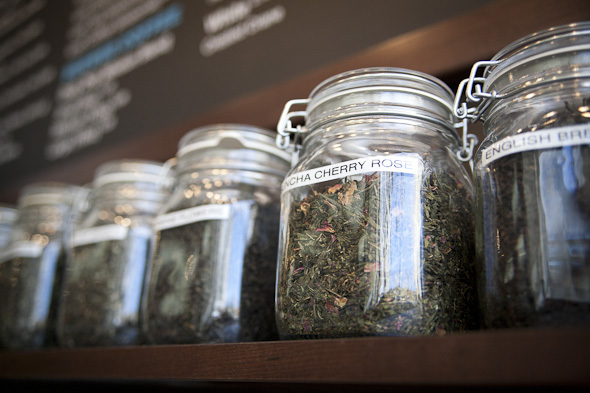 Not that there is much room to chat — Crema room, that is. 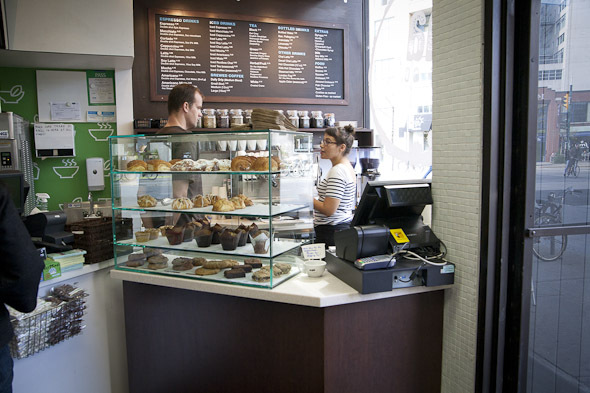 Like the Bloor shop, Crema on Spadina just occupies a tiny nook of a larger Freshii, stocking its espresso machine, tea canisters, and pastry rack all in close quarters. The differences between this Crema and the others, the barista tells me, are miniscule. 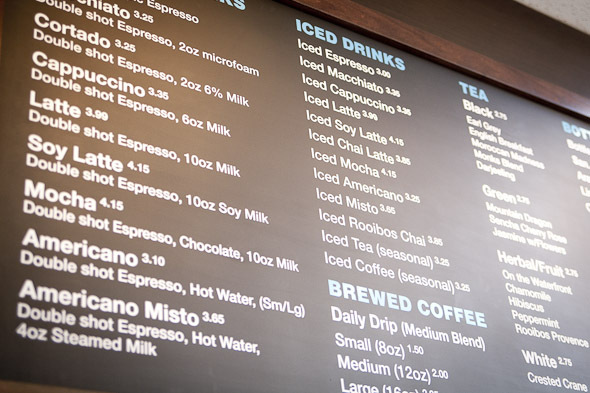 Same 49th Parallel coffee, same Circles & Squares treats, same list of drinks. Same prices? Unless my not-yet caffeinated eyes were deceiving me, it looked like an extra dime was tagged onto some drinks on the list. Americanos were $3.10, not $3.00 like I remember; same with the cappuccino here listed for $3.35. Of course, it's entirely possible that all the Crema shops upped the tab ever so slightly since my last visit. 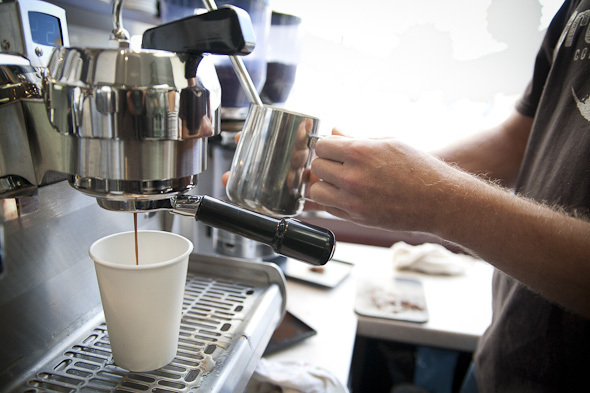 But nevermind the dime, my Americano here is an old faithful. 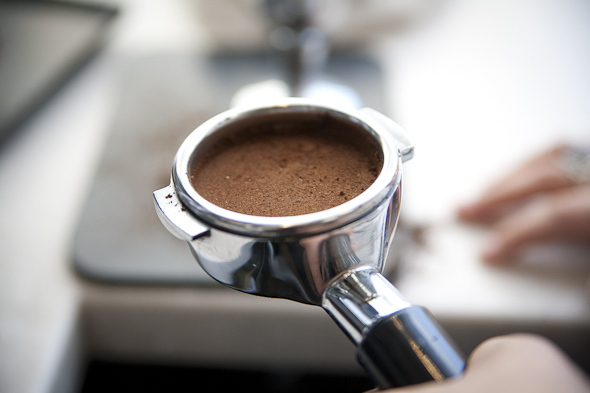 Balanced, smooth, and slightly fruity; it's a familiar taste to the Crema Americanos of my past. 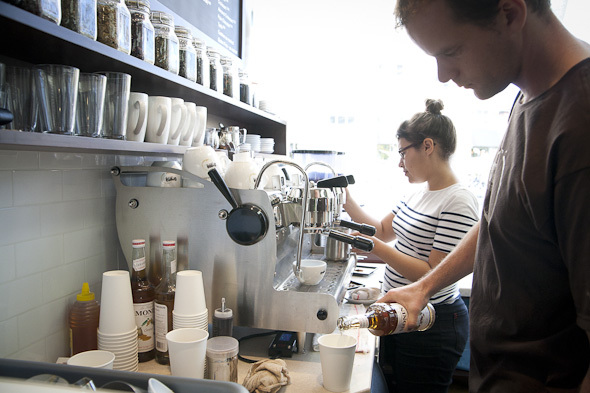 Crema Spadina is just about up to regular operating hours (Mon-Fri 7a.m. to 8p.m., Sat -Sun 8a.m. to 8p.m. ), and is poised to receive a shiny new Clover sometime soon. Until next time, Crema — or else, your next location.